This half nodule has been ground gem smooth and a high polish applied to reveal transluscent green calcite and lovely detail throughout. The matrix has a cut base for upright display. Approximately 189 million years old. A unique gift idea. Packed with wonderful colours and detail, this half ammonite has been ground gem smooth with all the hollow chambers filled in with clear resin to mimick a clear rock pool effect. Many hours of preparation have gone into this fantastic and highly aesthetic fossil which is approximately 200 million years old. This piece will make a unique aquisition for an interior designer or serious collector. 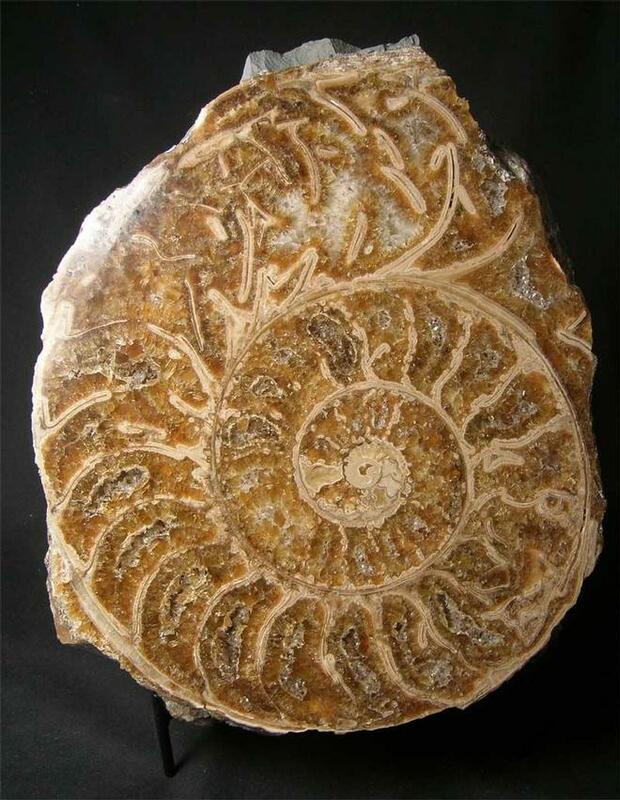 Discovered back in 1977 this ammonite came down in a cliff fall and washed out amongst the boulders to be found. These large Stellare ammonites are incredibly difficult to find these days and will make a sound investment for the future as well as a statment piece in any home or indeed office space. A wrought iron display stand accompanies this item. Again another beautiful example which has been ground gem smooth and clear resin poured into each hollow chambers to give a clear water effect. This unique piece is approximately 200 million years old and was discovered in 1976 after a cliff fall. 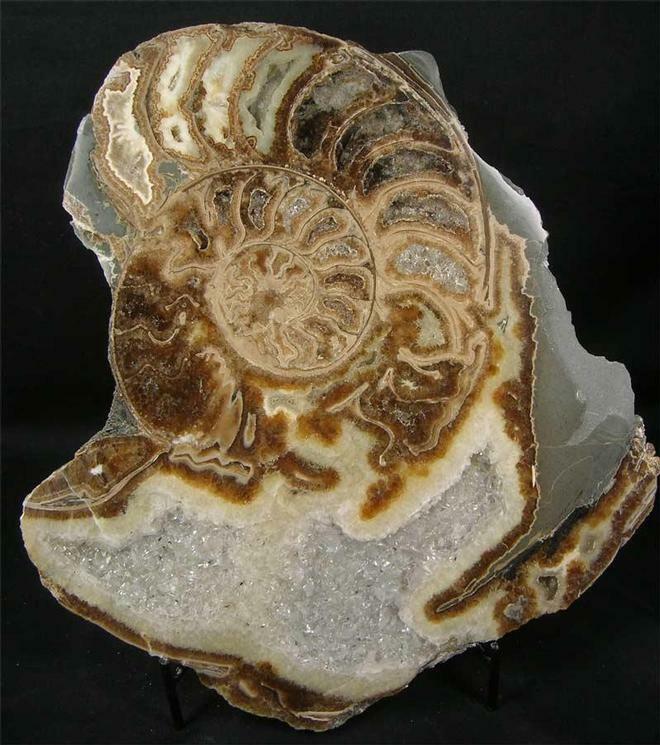 This ammonite would make a unique aquisition for an interior designer or discerning collector. These large Stellares are rare to find today, this one is from an old collection. 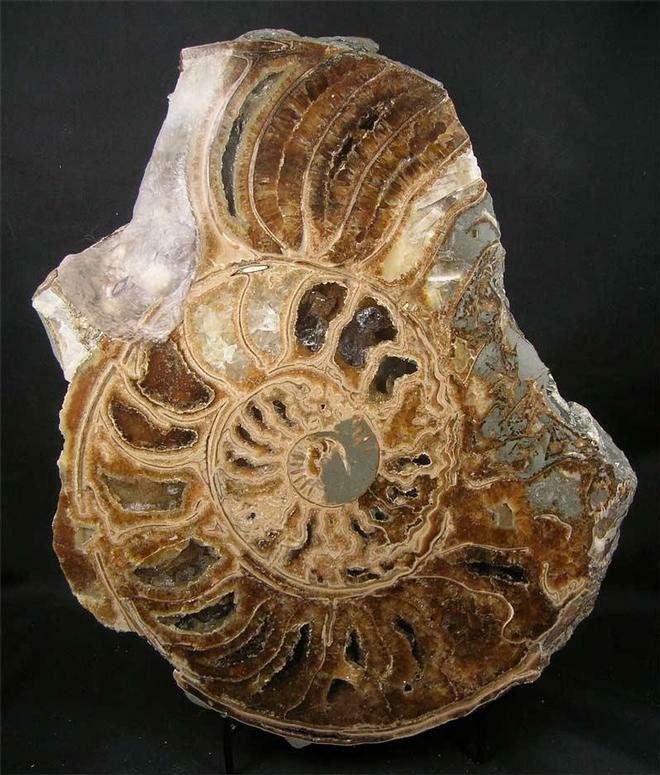 Fossils Direct are constantly striving to bring our customers the rarest and best prepared fossils from around the United Kingdom. A wrought iron display stand is included with this item. 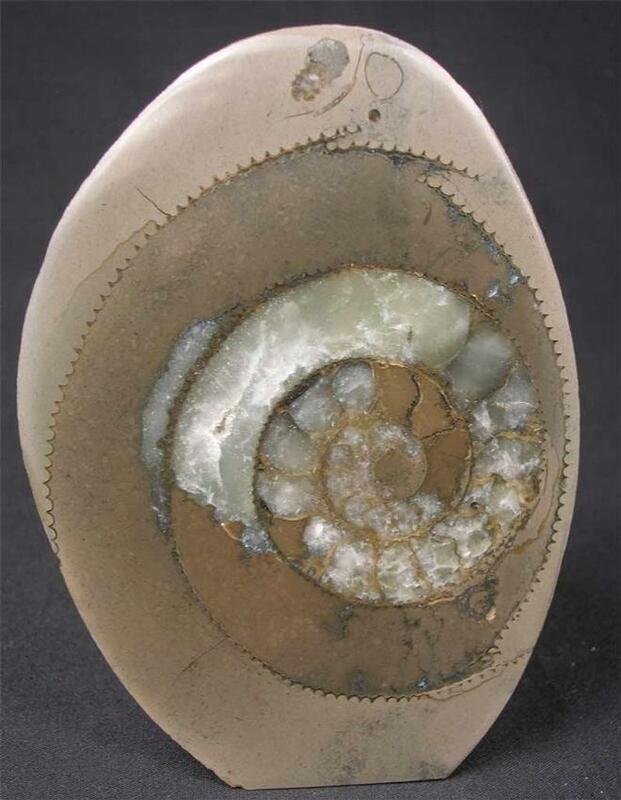 Discovered in 1979 this wonderful half ammonite resembled an artists pallette of colours. The surface has been ground gem smooth then all the chambers and voids filled with clear resin and finally a high polish applied to reveal beautiful detail. The effect with the clear resin is that it is like looking into a clear rockpool full of calcite crystals - amazing aesthetics. These large Stellare ammonites from this iconic fossil locality are rare to find thesedays and are highly sought after by interior designers and high end collectors alike. This ammonite comes ready for display with a wrought iron stand. Many hours of work have gone into this specimen which is approximately 200 million years old. Fossils Direct always deliver on top quality fossils from around the United Kingdom.